More stuff added to the musical arsenal . . . 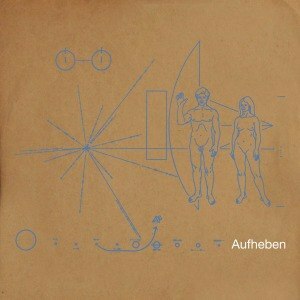 The BRIAN JONESTOWN MASSACRE – Aufheben (auk) – From Cargo Records: “Aufheben or Aufhebung is a German word with several seemingly contradictory meanings, including “to lift up”, “to abolish”, or “to sublate”. The term has also been defined as “abolish,” “preserve,” and “transcend.” Featuring Matt Hollywood an original member of the band plays on this album. It also features Will Carruthers (Spacemen 3, Spritualized), Constatine Karlis (Dimmer), & Thibault Pesenti (Rockcandys)plus vocal performances by Eliza Karmasalo (in Finnish). This album brings the traditional Brian Jonestown Massacre sound mixed with eastern influences & bringing it up to date with the benefit of all the additional weirdness that’s been discovered in the past 40 years. The KING KHAN & BBQ SHOW – We Are The Ocean/Terrapin 7″ (sultan) – 650 black/350 white. KING KHAN & JACUZZI BOYS – Split 7″ (florida’s dying) – Record Store Day reissue limited to 750 copies. MARK SULTAN – Livin’ My Life 7″ (sultan) – Livin’ My Life plus two more tracks, order and listen here. 650 black/350 white. MARK SULTAN – Whatever I Want and Whenever I Want LPs (in the red) – Two releases from Mark Sultan from October of 2011. OFF! – OFF! – (vice) – Follow up to the 4 EPs… 16 quick tracks to get you going riot style. 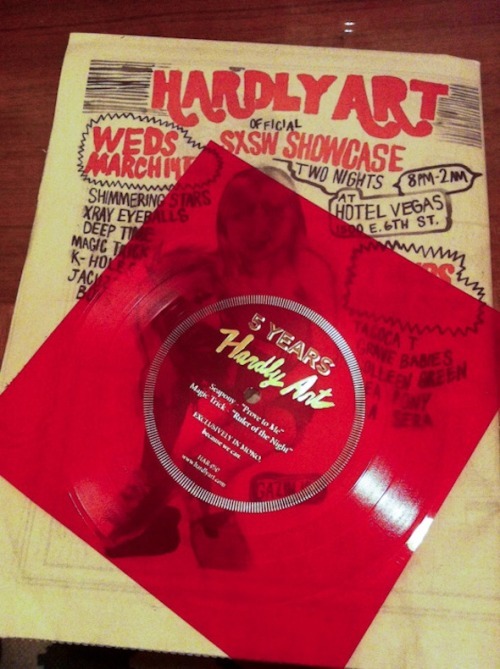 SEAPONY/MAGIC TRICK – Split Flexi 7″ -(hardly art) – Red flexi-disc comes in the #3 issue of Hardly Art Magazine? I found this at Good Records on Saturday. This entry was posted on June 9, 2012 at 6:50 pm, filed under News and tagged bbq show, brian jonestown massacre, ding dongs, hardly art, King Khan, mark sultan, off!.